In an innovative global economy, the importance of branding has been elevated from a “nice to have” to a “must have”. It has become a strong influence behind the success of organizations worldwide, says Danish business & brand strategist Martin Roll. 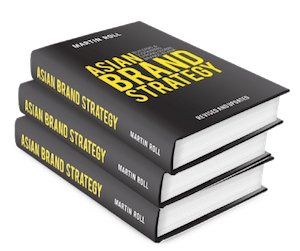 A long-time resident of Singapore, the second edition of his hugely successful global book “Asian Brand Strategy” was published in 2016. In his consulting career, Martin Roll has offered advice for navigating the volatile international marketplace to Fortune 500 companies, leading Asian enterprises and Asia-focused family-owned businesses. Martin Roll, who has been a frequent visitor to Korea (having visited the country more than 200 times), was visiting Seoul to conduct a workshop on country branding at the invitation of the Danish embassy. According to Martin Roll, Asia has come a long way. 15 years ago, Asia had a generic image when Westerners could not differentiate between Asian countries. But the global dominance of Japanese and Korean firms has led to the strengthening of the image of their respective countries. Korea, Japan and China are now being increasingly recognised by the world as hotbeds of innovation. Martin Roll stressed that innovation is equally about storytelling as it is about the technology. Brands should be able to educate and inform consumers about the source of the technology in an engaging manner. According to Martin Roll, Korea has a huge treasure trove of assets that are currently under-leveraged in terms of their potential to strengthen Korea’s identity. He cited the example of Danish toy brand Lego, which has incorporated the Danish children’s playfulness and creativity in its brand essence. Other important examples cited by Martin Roll included the Danish multinational pharmaceutical company Novo Nordisk, which has championed the Nordic values of professionalism, authenticity and transparency, and that of L’Oreal, who have successfully globalised the French understanding of beauty and elegance. Martin Roll also talked extensively about the Danish way of living, where entrepreneurship is encouraged, red tape is minimal and there is openness of engagement between the government and an average Danish citizen. He mentioned in detail about how the Danish social system contributes towards the happiness and productivity of an individual. According to Martin Roll, there are numerous opportunities for Denmark and Korea to cooperate in the domain of the green economy, where Korea’s production and engineering competence and Denmark’s innovation and management acumen can be a great fit. Martin Roll strongly feels that Korea has a strategic opportunity to establish itself as a regional hub of East Asia and play a leadership role in connecting neighbouring economies and cultures.